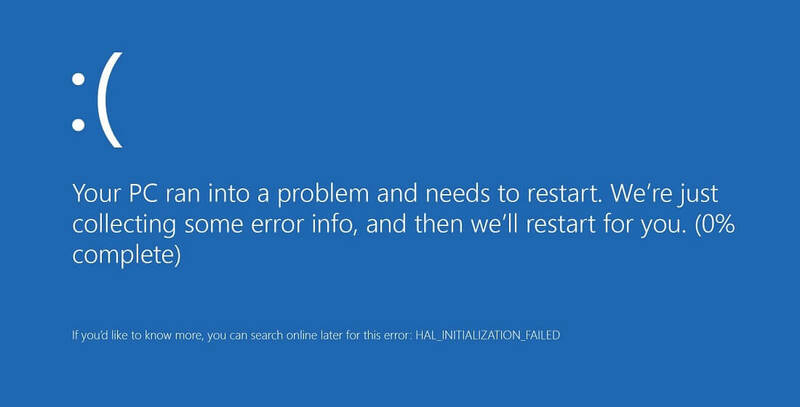 Microsoft is trying to make Blue Screen of Death (BSoD) errors more helpful through the inclusion of QR codes. As spotted by MicrosoftInsider.es, the latest Insider Preview build of Windows 10 includes QR codes directly on the BSoD screen, which makes it easier for users to get help regarding the crash they've just encountered. In build 14316, which is the latest Preview build, the QR codes currently redirect to a URL that gives generic advice on how to troubleshoot blue screen errors. Microsoft hasn't integrated the BSoD error codes into the QR code just yet, so users will still have to manually search for the displayed code to get more targeted advice. A screenshot of the new BSoD as taken by a Reddit user. The old BSoD is seen at the top of this article. However this is a step in the right direction to making BSoDs easier to troubleshoot. Historically these sorts of crashes have been notoriously hard to fix as the errors seen on the BSoD are complex and typically not very specific. On top of that, BSoD errors only usually appear for just a few seconds, which makes it hard to remember or write down the long error codes. If Microsoft can extend this functionality to include error codes in the QR codes displayed, it will be much easier for someone to look up the issue that caused the crash in the first place. Considering BSoDs tend to be very basic, it's not clear whether this is actually possible, but Microsoft clearly wants to improve the usefulness of the error screens through even just minor changes.